We’re used to seeing wild and beautiful prototype automobiles at auto shows. But a prototype unveiled at the mid-September TEDxWinnipeg conference, though, is anything but usual, and not just in its futuristic look. In the continuing race for a revolution in personal transportation, a new concept has turned up on the radar. It’s called the Urbee (URban Electric with Ethanol), and it is a two passenger hybrid car whose body was made entirely using 3D printing. Like all great design teams, Urbee’s started with a concept. A vision. They were to build a car that gives a new outlook for the production of environmentally friendly vehicles by re-thinking efficiency in both car performance and the manufacturing of its parts. The close-knit team, lead by senior designed Jim Kor, is made up of a handful of mechanical and electrical engineers with an impressive collective resume of industry experience. The makers claim that the Urbee is amongst the greenest cars ever made. Urbee’s hybrid engine runs using electricity for slow speeds and its small 8hp ethanol engine for highway speeds, maximizing the efficient use of each technology, reaching top speeds of up to 200 mpg. But in our biased opinion, the real revolutionary change introduced by the Winnipeg, Canada-based Urbee team is that the body of the car is made using a 3D printer. Urbee’s ethanol engine can only output 8 horsepower, but due to its aerodynamic, water drop-like shape, it’s able to reach 70 mph without any hassle and still do 200 mpg on the highway and 100 mpg of in-city driving. Kon also says it’s designed to last for 30 years. In the short term, the advantages of this are obvious: the team doesn’t need extensive manufacturing facilities to produce all the body components necessary for the car. Parts can also be made to any dimension the team chooses; useful when your goal is a radical redesign of the conventional car to maximize aerodynamic efficiency and minimize rolling friction. The car is lightweight, but not too light. A lightweight car with only two passengers could easily be blown around on on the highway, so Urbee’s weight is optimized to roughly half that of a typical car. This is one of several strategies the team uses to maximizes the energy efficiency without sacrificing a high standard for safety and production quality. As for the long view, the team says that 3D printing means that they minimize waste and facilitate the use of recycled materials. By printing the difficult-to-fabricate parts for the body, they only put material where they need it and don’t end up discarding any odds and ends that are a product of the manufacturing process. If nothing else, Urbee team has caught people’s attention. For all its history, the automotive industry has been dominated by large-scale, mass-production corporations because of the wide variety and complexity of parts in cars. It is not yet clear how the production of the Urbee will scale. There is, however, little doubt that Urbee serves as a proof-of-concept for smaller scale, more niche-market companies. Especially with the use of a non-specialized manufacturing technology like 3D printing, it starts to make economic sense for a company to produce a smaller number of more specialized products. 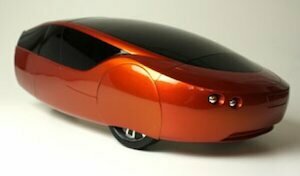 Urbee hopes to get the car into production by 2014, although they are still looking for more investors. They estimate the car to sell for between $10,000 and $50,000, depending upon the demand. This is still more than most people will pay to sacrifice space and performance in favor of environmental sustainability. But it is not completely off the wall, and there are certainly going to be people out there who would be in the market for a car like this. Only one prototype in, the fate of the Urbee is still undecided, and we don’t know if it will be the next big thing in cars or not. Still, the team certainly seems to be right on the forefront of environmental sustainability and more importantly, the innovating manufacturing process of 3D printing. Either way, there is little doubt that the Urbee will play its part in the history of the manufacturing of ultra-efficient vehicles. And just for fun, here’s a video from 2010 of the Urbee, sans body.